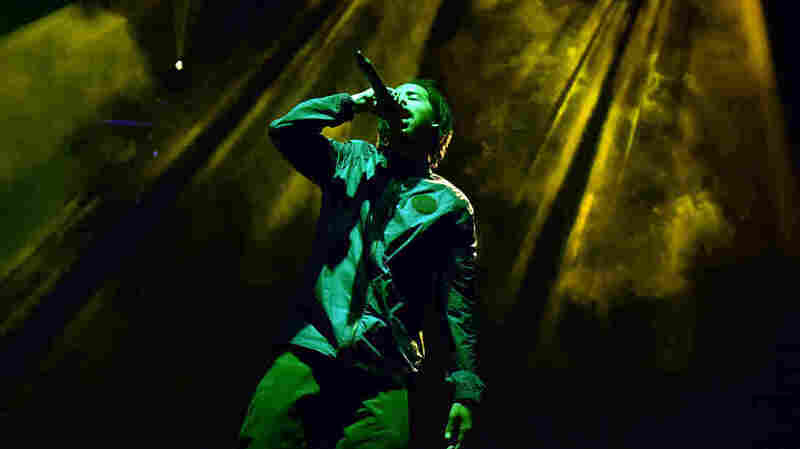 Earl Sweatshirt Releases 'The Mint,' Plans To Drop 'Some Rap Songs' Album This Month On the new song from Earl's forthcoming album, the former prodigy prolongs his coming-of-age story and reflects on a tumultuous year. Earl Sweatshirt's forthcoming LP, Some Rap Songs, is due out on Nov. 30. Earl Sweatshirt calls himself "a surviving child star" in a press release announcing his new album, Some Rap Songs, out Nov. 30. It's not a label typically applied to prodigies in hip-hop, where being washed before you're old enough to legally drink isn't at all abnormal. At 24, Earl has not only outpaced rap's average lifespan, he keeps pushing himself toward something increasingly rare: evolution. On "The Mint," Earl's second single this year after dropping "Nowhere2Go" earlier this month, you hear the maturity in his voice, first and foremost. But the depth is also revealed in his intention. "My childhood and the beginning stages of my adulthood have all been in the public light," Earl says via the presser. "I can grow as much as I want by myself but I'm a public figure. In order for my growth to be complete, the work has to reflect it." The forthcoming 15-track album comes near the end of a tumultuous year for Earl. His father, South African poet laureate Keorapetse Kgositsile, died in January — just one month before the long-estranged father and son were due to reunite. Now, the closure he sought must come from within. Earl's quest is evident on "The Mint," featuring Navy Blue. Over a plodding track and sparse piano loop, Earl delivers a zombie-like flow. "Tip-toeing over mortar and the brick / Bumping shoulders with the devil in disguise." And after the recent loss of friend and longtime collaborator Mac Miller, a line about being more responsible with recreational drugs sounds less tossed off: "Use too much of everything at hand / 'Cept the difference is, now I control it" he raps. "I hit the spliff but don't promote it under overpass / No cap, sand falling out the hourglass." Never a stranger to self-reflection, Earl's resolution is likely to be buried in the notes between Some Rap Songs. It's the kind of prolonged coming-of-age fans have come to adore from the surviving prodigy.